Product #21642 | SKU GPLP-18 | 0.0 (no ratings yet) Thanks for your rating! 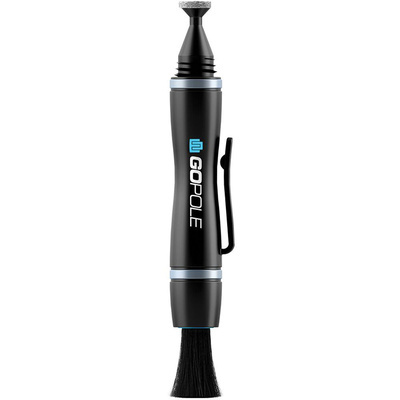 The Lenspen Compact Lens Cleaner for GoPro HERO from GoPole is a pen-style lens cleaner sized for the miniature lens port found on action cameras such as the GoPro HERO. A chamois tip features a cleaning compound that works to remove fingerprints, water stains, and other blemishes. Any free particles that remain stuck to the lens can then be wiped away using the retractable ultra soft brush on the other side.